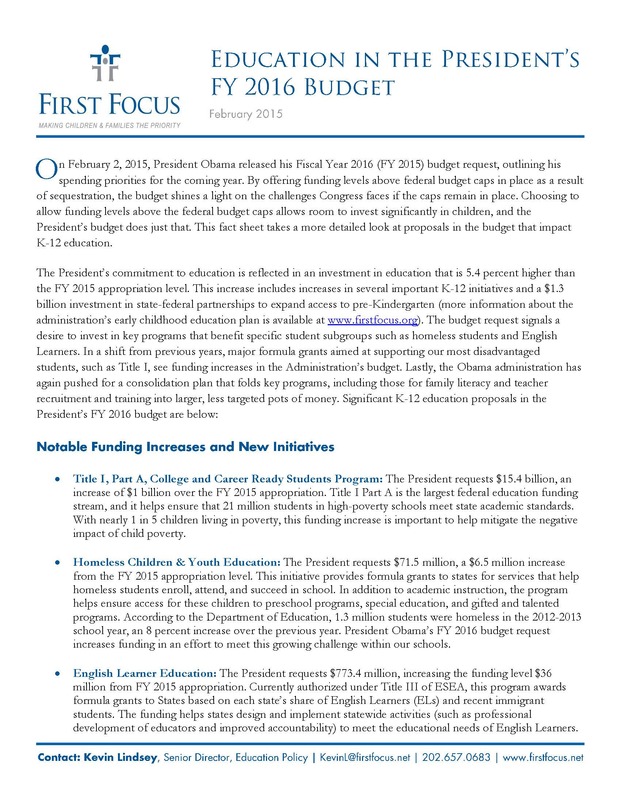 On February 2, 2015, President Obama released his Fiscal Year 2016 (FY 2016) budget request, outlining his spending priorities for the coming year. By offering funding levels above federal budget caps as a result of sequestration, the budget shines a light on the challenges Congress faces if the caps remain in place. Choosing to allow funding levels above the federal budget caps allows room to invest significantly in children, and the President’s budget does just that. This fact sheet takes a more detailed look at proposals in the budget that impact K-12 education.